Thinking Out Loud In Sturbridge: Do You Remember Ovide's? photo is where the Pilot Gas station is now. of I-84 is now. . 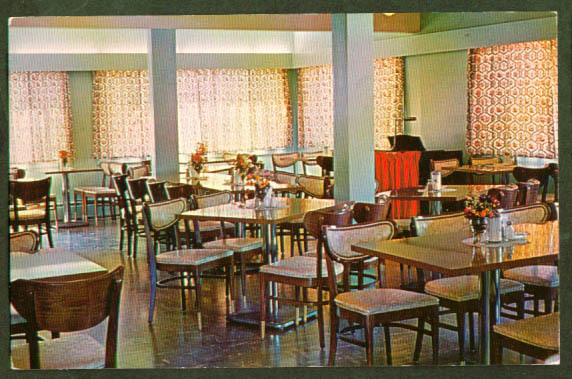 In the mid 70's Ovide's was also something else does anyone remember the name? 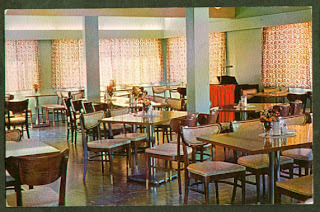 It was a restaurant, bar and night club of some sort. Yankee Dragon run by the Moys in the 70's. If I'm correct, Ovide's burned in 1969. I think that the Old Howard Johnsons became the Yankee Dragon. Thanks for the quizzes! Didn't the HoJo's become the Yankee Dragon (or something else) and then become Roy Roy Rogers? 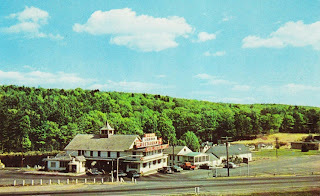 We stopped at Ovides on our trips from Westchester County, NY to Bridgton, Maine from the late 50's through the 1960's. I have alot of great memories and am so glad it is still there. Ovides burned down many years ago. I remember it well. My grandfather started it with a chicken coop and it grew from there. He later damned up the streem running through the valley and made two ponds. The lower one you can see from the postcards. I grew up in the house behind the restaurant. Summers were the best.. hardly ever got out of the water and when no one was around... hunting and fishing in the upper pond. I remember it well also. My parents were Bill and Mae Naedler. We would go on a 2 week vacation every year there. My parents were close friend with Ray and Pearl and the other Mercures. Such great memories. I was going to work in the restaurant as a bus boy one summer, but it never worked out. Then we went to Ray and Pearl's restaurant in Harwich, then I lost contact with them....oh the Yankee Drummer...in Sturbridge, Forgot who owned that. 2013-01-06 asking viewers the location. The Worcester newspapter ran a follow-up piece on Ovide's which named the location along with a bit of its history. My folks lived in nearby Somers, Connecticut. Traveling from New Hampshire, I'd stop at Ovide's for a beer. I got to know the bartender, an affable guy. One day, knowing I was from New Hampshire, the bartender mentioned that the owner of the China Dragon in Hooksett, NH had just bought Ovide's. I replied, "That's nice, when's the fire?" The next time I drove by, Ovide's had burned flat. I always wondered if that bartender had thought back to our conversation. Son of Ovide's founder passes away. 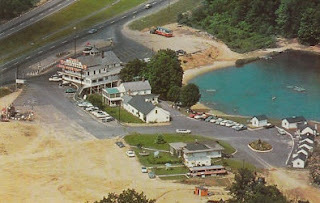 Ovides was located in Sturbridge Massachusetts close to the Connectcut border on what is now interstate 84 and was back then route 15.